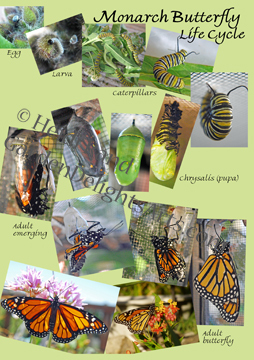 This is my poster chronicling the life cycle of monarch butterflies. 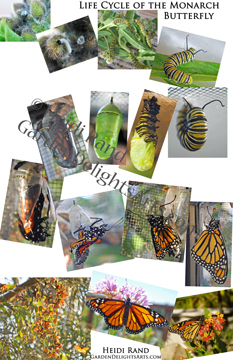 We raise and release the butterflies, and I’ve photographed each stage, from egg to emerged adult. You can purchase the poster through my Artfire gallery. The card I made from the poster is also available on Artfire. I’m working on a complete gallery of my photos of the entire life cycle, starting with the eggs that a butterfly lay on the milkweed plants in our garden. We left most of the eggs on the plants, but brought some inside. We kept them until they emerged, then released them. Generally, the cycle from egg to butterfly takes about a month. 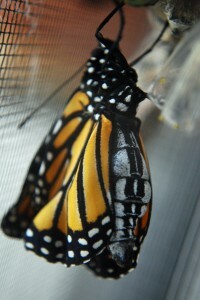 The first caterpillar emerged from its egg on March 26th, and they had all emerged by the next day. 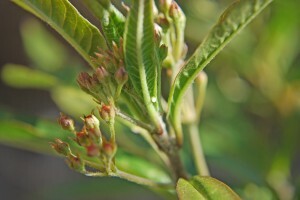 See photos of the empty egg, and of the caterpillars. By April 11th the caterpillars were about an inch long, at their third or fourth instar (that’s the stage between sheds of their skin). The first caterpillar pupated (turned into a chrysalis) on April 18th. 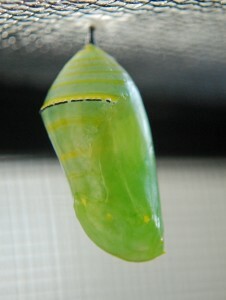 On May 1st the first set of chrysalises started to turn dark, and then their wings started showing through the chrysalis, which meant they were getting ready to emerge (eclose). 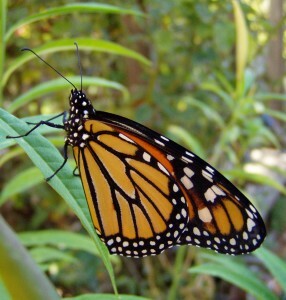 May 2nd, near midnight, the first butterfly emerged! Over the night to the morning of May 3rd, five of them emerged. The last two emerged on May 4th, and we released them during the day. 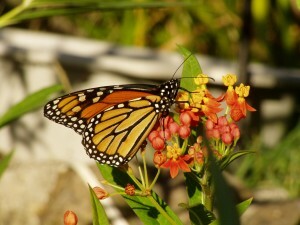 All gone, hopefully to lay more eggs on milkweed to continue the cycle ….